GIVEAWAY IS NOW CLOSED – THANKS TO ALL WHO ENTERED ! It runs from today until 25 September 2012 and it is a chance for me to share with you “a book that I just couldn’t put down”. 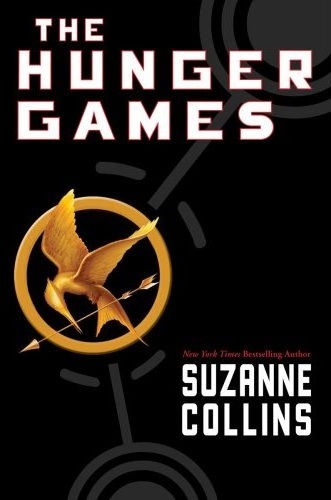 I have chosen to give away The Hunger Games by Suzanne Collins (new paperback, US edition). The giveaway is international. The Hunger Games is a book that I would have read in one sitting if I could have. I actually remember reading it at work, because I couldn’t wait for the end of the day to know what would happen next. I also remember reading the last page when I was about halfway through the book. I NEVER do that. I always read the book from page 1 to the end and I don’t peak. But this book got me so tensed that I had to know if Peeta would survive the Games. So if you haven’t read The Hunger Games, here is your chance. This entry was posted in Uncategorized and tagged book giveaway, EM Castellan, Giveaway, Stuck In A Good Book Giveaway, Suzanne Collins, The Hunger Games. I already have this book so I’m not entering but I just wanted to say….awesome choice for a giveaway. Thanks for the giveaway, hope to strike this book off my wishlist. Hi EM 😀 Thanks so much for the giveaway 😀 Awesome! thank you for this international opportunity to win. haven’t read it yet, hear it’s great!